My name is Ms. Conner and I am excited to be teaching my third year of theatre at Memorial HS and my fifth year of Theatre education. I am a Native Texan and grew up in a small town west of Fort Worth where I fell in love with Theatre. While a student at Texas A&M University-Corpus Christi, I majored in Theatre with a focus in Teacher Certification. I am a member of EdTA, ITS, and TETA. I love sharing my passion of theatre with each student and I can't wait to share my knowledge with you! 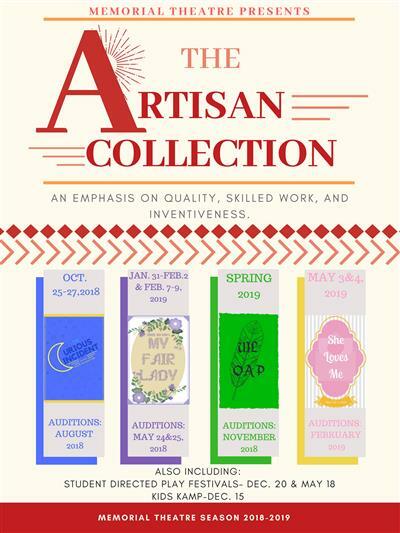 For more information about Memorial Theatre and The Artisan Collection go to mhstheatre.com!